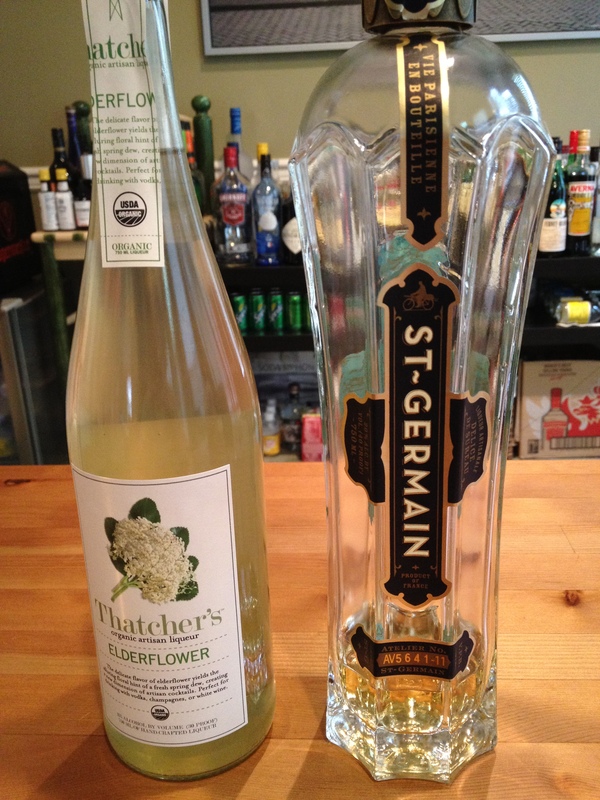 My new bottle…Thatcher’s Elderflower Liqueur (left), vs. St. Germain. I stopped by the liquor store today to replace my bottle of St. Germain. Inquiring into the lack of bottles on the shelf, the ABC employee asked if I’d be interested in Thatcher’s brand Elderflower liqueur. This was the first time I had heard of it, and seeing that a bottle of Thatcher’s was a bit cheaper than St. Germain (about $20 for Thatcher’s versus $38 for St. Germain), I figured I didn’t have much to lose by trying it out. Thatcher’s has lower alcohol content (30 proof vs 40 proof) than St. Germain. Thatcher’s smells a bit lighter…St. Germain has a more intense smell (and taste) that reminds me of lychees. 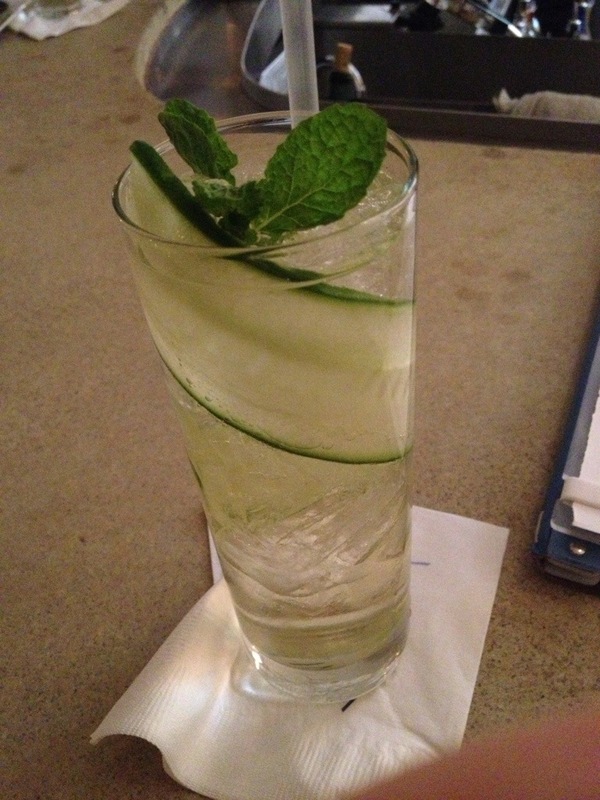 The taste of the Thatcher’s is more floral than St. Germain, and I’d say a little more refreshing. I pick up more of a berry taste with the Thatcher’s in the aftertaste as well. I could also see taking Thatcher’s straight or as a shot (although cocktails are where this would be best for me), whereas the St. Germain is a little too sweet/thick for that. The flavors are different enough that I’d consider having both of these in my bar, though. Also, I’d recommend checking out the elderflower liqueur taste test that this blogger did (way more interesting than mine was).